With winter coming, let’s take a runcation somewhere with a warm beach! Here is my logic: If you are a woman who loves to run and travel and you have lady friends who also love to run and travel, why not make a short and sweet trip out of it? A run-cation! Do any of you Salty readers have country music on your iPod? How about a road trip to Nashville? I put a few thousand miles on my legs while living in Nashville earning my M.S. from Vanderbilt. 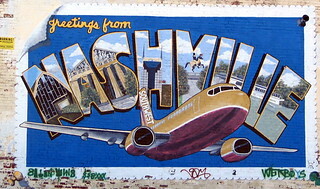 Although deservedly famous for the music scene, Nashville has a great running community as well!